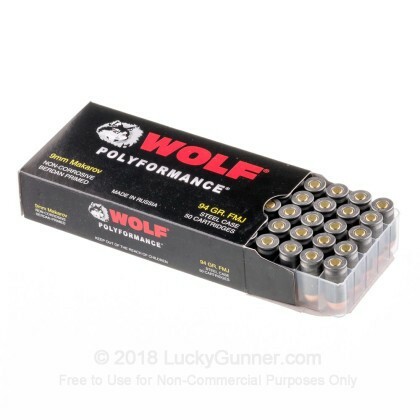 Newly manufactured Wolf WPA Polyformance. Manufactured in one of Wolf's legendary production facilities in Russia. Wolf ammunition is as rugged as the country it comes from. 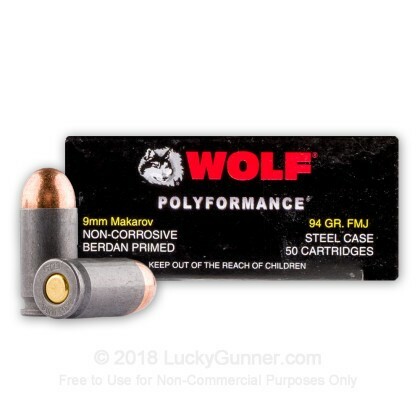 If you're looking for a great value in a steel-cased 9mm Makarov round, you've found it with Wolf WPA. This stuff performs great under all conditions. 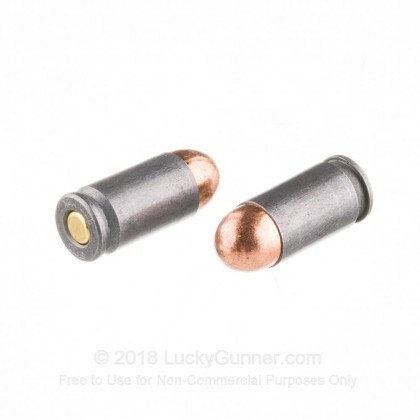 From the frozen Russian Tundra to the African Serengeti to your neighborhood range, this ammo does it all and does it well thanks to its polymer coating that ensures smooth feeding and extraction. This product is steel-cased, Berdan-primed, non-corrosive, and is non-reloadable. Luckygunner shipped my package very quickly. I fired around 120 rounds with zero malfunctions, pleasant to shoot in my Bulgarian makarov. Great price and service, excellent value. 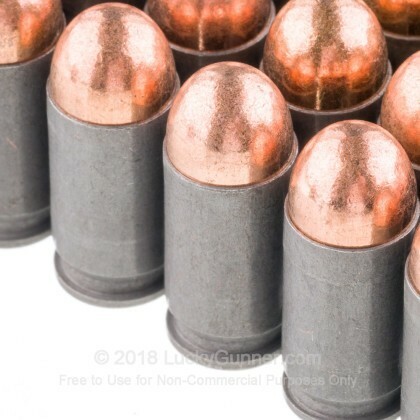 I am no expert on ammo. I buy what I need, at the best price, for my toys. All it has to do is work reliably in my toys. This stuff does (work, that is). I give it 4 starts because I really have no basis for comparison. Thanks for being there Lucky Gunner! Second purchase of 1K Wol Makarov ammo with o problems. I had one squib after firing about 200 rds. 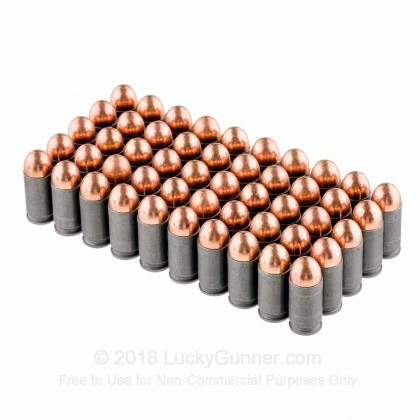 I fired the rest of the box of 50 without an issue. 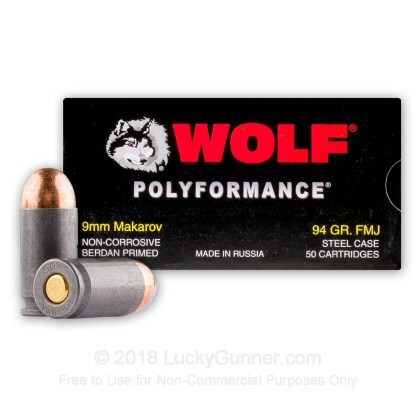 We also have this 9mm Makarov - 94 Grain FMJ - Wolf WPA Polyformance - 50 Rounds ammo in stock in a smaller quantity.